As part of its ongoing search, the National Center for Missing & Exploited Children is asking for the public’s help to locate Patrick Alford. Patrick Alford has been missing since January 22, 2010. Tomorrow marks 6 years since Patrick disappeared. 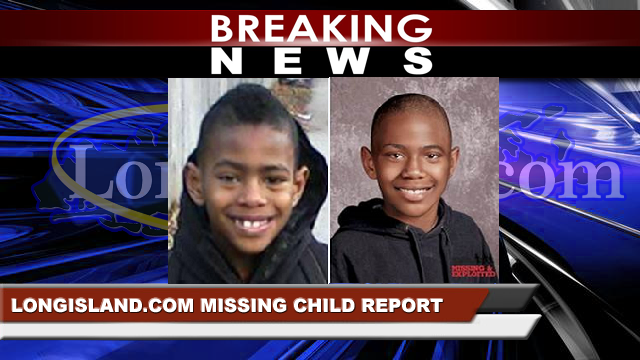 Anyone with information is asked to call 1-800-THE-Lost or the NYC Police Department at 800-577-8477. Picture on left shows Patrick prior to disappearance. Picture on right is an age-progressed photo of Patrick for how he may look like today. Photo by: National Center for Missing & Exploited Children. New York, NY - January 21, 2016 - Have you seen Patrick Alford? As part of its ongoing search, the National Center for Missing & Exploited Children is asking for the public’s help to locate Patrick Alford. Patrick was last seen in the Brooklyn, New York when he disappeared without a trace on January 22, 2010. Tomorrow marks 6 years since Patrick disappeared. He has not been heard or seen since. The photo shown to the left is of Patrick prior to his disappearance. The photo to the right is shown age-progressed to 11 years to give an idea of what Patrick may look like today. Patrick was 4 feet 8 inches tall and weighed 65 pounds at the time of his disappearance. Patrick is biracial: he is Black and Hispanic. He has brown eyes, black hair and has a scar on his left eyebrow. He was last seen wearing a red t-shirt, blue jeans and blue and black Michael Jordan sneakers. Anyone with information is urged to call 1-800-THE-LOST (1-800-843-5678) or the New York City Police Department (800-577-8477) with any information concerning the disappearance or current whereabouts of Patrick. Please click here for the Missing Poster for Patrick Alford. Subject: LongIsland.com - Your Name sent you Article details of "Missing Child Alert: Patrick Alford Missing Since January 22, 2010"